It is so easy to fall into the trap of thinking every game is made with just us in mind. We want every platformer to satisfy our need for perfect, pin-point leaps. We want our puzzlers to challenge us right to our breaking point before acquiescing to our superior brain power. We want our single-player narratives to be deep, technical and our characters layered and conflicted. 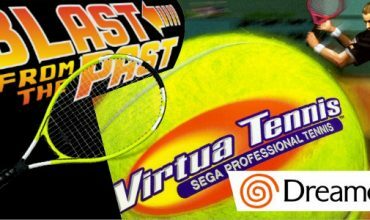 And while there is nothing wrong with any of these desires, sometimes a game comes out that although not made for us, is still just really good. Yoshi’s Crafted World is one of those games. But, is it just for kids? 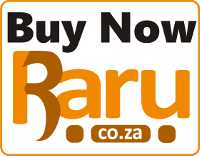 Nintendo has always (especially here in South Africa) had the reputation of being a slightly ‘made-for-kids’ brand. While the reputation is actually really unfounded when you look into their storied history, Nintendo does embrace the idea that some games are made for kids, for grannies and for newbies. Over the years, Kirby and Yoshi’s titles have often filled this gap by providing family-friendly fun done with trademark polish. 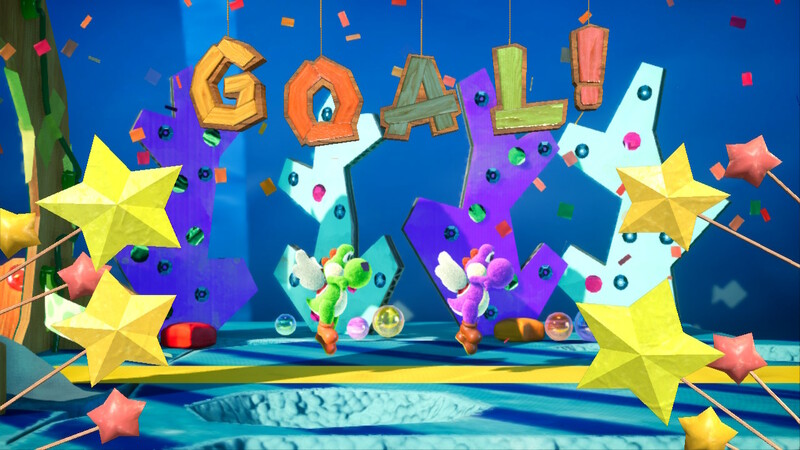 Yoshi’s Crafted World is another entry that champions this philosophy but Nintendo and Good-Feel have really pushed the envelope in terms of creativity, meticulous attention to detail in visual design and replayability meaning there is actually something here for everyone. The storyline is very simple. Bowser Jnr and Kamek take on the antagonists’ roles. 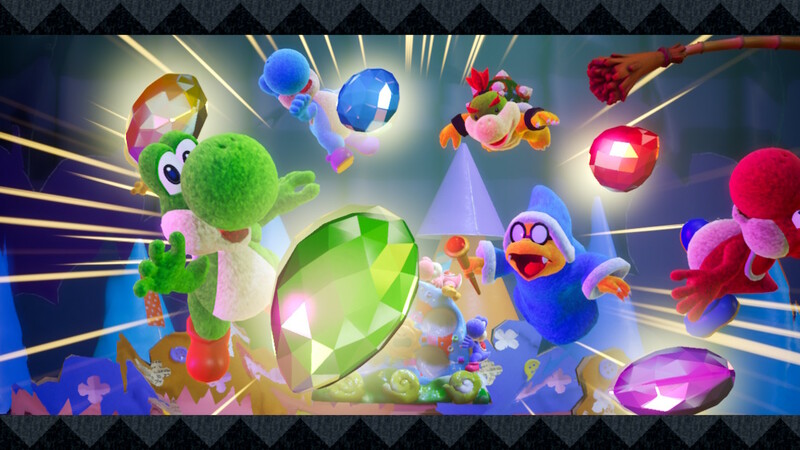 When they hear that the Yoshis on Yoshi Island have a special item that can make dreams come true – they attempt to steal it. The item is made up of 5 stones and during the attempted robbery the stones are scattered in several Crafted Worlds and it is up to you to find them before the nefarious duo do. (Basically, it is a kid-friendly version of the Avengers’ search for the Infinity…err Dream Stones.) 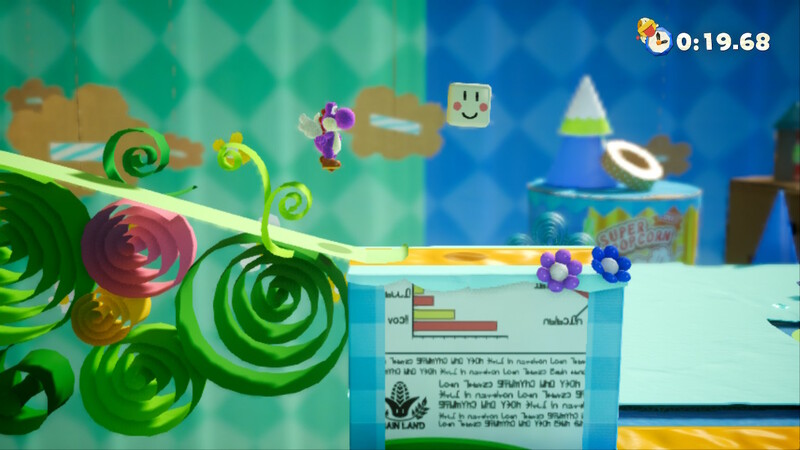 You can take control of any one (or two if in two-player mode) of a number of different-coloured Yoshis and head off on the adventure. It really plays on the idea of a kid playing with a bunch of toys in a world constructed in their room. From old cereal boxes to cotton wool to cardboard cut-outs – the world is vibrantly filled with a wonderful, homemade charm. However, don’t immediately discard this title out-of-hand as a game ‘just for kids’. First of all, the game is beautiful. Sure, this is the not the life-like photo-realism that adorns many modern games. This instead is a game the embraces the bright, friendly world of a child’s imagination. As the name implies – each level seems to be crafted from a variety of household materials. From old cereal boxes to cotton wool to cardboard cut-outs – the world is vibrantly filled with a wonderful, homemade charm. While you could assume that this style would quickly become repetitive and boring, again and again I felt pleasantly surprised at the level of creativity present. Each level provides more than enough variety and as I moved from one themed-area to the next, I couldn’t help but smile at how the designers created each world. Levels with beautifully unfurling paper and molten ketchup lava, are connected to trips through amazing origami jungles. Using only a few well-placed pieces of tape and a few coloured paper plates suddenly an endless ocean or even outer space opens up before Yoshi. It is truly impressive how every world was designed to look like it had actually been physically constructed. It is visually joyful. Unfortunately, the same cannot be said about the soundtrack. The music (usually one of Nintendo’s strong suits) really felt lacking and thin. The title song and the few other tunes that pop up are sweet and charming enough. However, it just felt like the same track played repeatedly. This was a real letdown and both my wife (who absolutely loved the game) and I chose to turn the music off and listen to our own stuff instead. The fear of getting that repeated jingle earworm burrow into your mind is really enough to put you off the soundtrack. The music really felt thin and repetitive. The gameplay, on the other hand, really backs up the intended ‘simple but fun’ set-up. You travel along a set track with a series of themed levels. Traversing the mostly left-to-right 2D platforming world is easy to pick up and Yoshi’s forgiving floaty-jump is there once again. 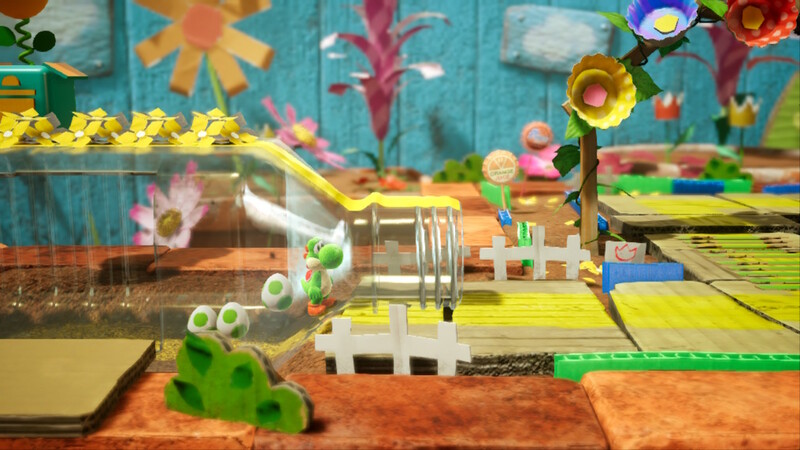 Within each level, Yoshi has the ability to aim his eggs at enemies, at objects partially hidden in the foreground and background, or even at the crafted platforms themselves, opening up new areas to explore. The aiming takes a moment to get used to but is a fun little mechanic. The platforming includes some basic puzzles which are pretty straightforward but will still give you that little buzz of accomplishment when you work them out. The two-player mode is fun (if a little chaotic) because you work together and because you can swallow and even ride on the back of your fellow player – this brings a lot of laughs and means more experienced players can take the lead when necessary. When doing a level backwards, I often found myself pausing the game to just admire the attention to detail in the design. Every level can also be completed in reverse (starting at the end and finishing at the start). In these ‘flip-side’ levels, you are tasked with finding wayward poochy pups. Because you are seeing the level from the reverse perspective, you see the back of all the crafted items. Cereal boxes have nutritional information. Bits of tape stick out and ingenious paper folding can be seen all around. The design of these levels is fantastic. I often found myself pausing the game to just admire it. It’s all just very clever. 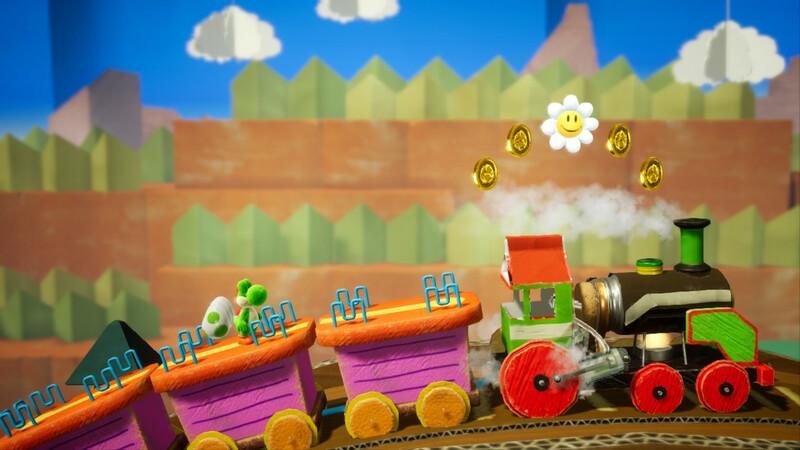 A few of the other levels also really mix up the basic left-to-right formula – and you even get to ride on a giant mechanical cardboard-punching mech-Yoshi and go crafted-kart racing too. These were particularly well executed. Boss battles come up after every few levels and once again – none will keep you up at night, but all are enjoyable and follow the comforting Mario 3-hits-and-you-win set up. Within each level, there are a variety of collectables to find. The main collectable (a smiling sunflower) enables you to open up subsequent areas. You can also collect special Yoshi Coins which unlock costumes, and 20 Hearts per level which also serve as your health meter. Now the endless collecting may seem like a lot, however, the game balances this really well. In my first run through, I basically only played each level once. Despite this, I found that I had always collected enough flowers to open up the next area. This meant I didn’t have to do any forced back-tracking which can really slow this kind of game down and was a concern I had coming in having played the demo. Also, as mentioned at the outset the gameplay is very simple and my first run through lasted well-under 10 hours. This is the kind of playthrough younger or more inexperienced players are likely to enjoy and manage. However, the variety of collectables also serve as a way of scaling the difficulty (along with two built-in difficulties modes). And collecting everything will provide a challenge for more experienced players. Not only can you return for anything you missed on your first run, along the way you will receive tasks for collecting specific items in previously played levels. Because these tasks are given one at a time this can become somewhat frustrating when you have to return to the same level several times, rather than just collect everything in a single return-playthrough. Despite this though, the basic but clever levels are short enough to speed-run through – and for many of the collectables once you find them you have the option of immediately jumping out of the level, which is a great ease-of-play feature. Plus, perhaps doing-several-tasks-in-a-single-playthrough is a fix small enough that it can be implemented with a later update. The need for collecting is well-balanced and the variety of collectables also serves as a way of scaling the difficulty. The only feature related to collecting that was a real miss for me was the costumes. 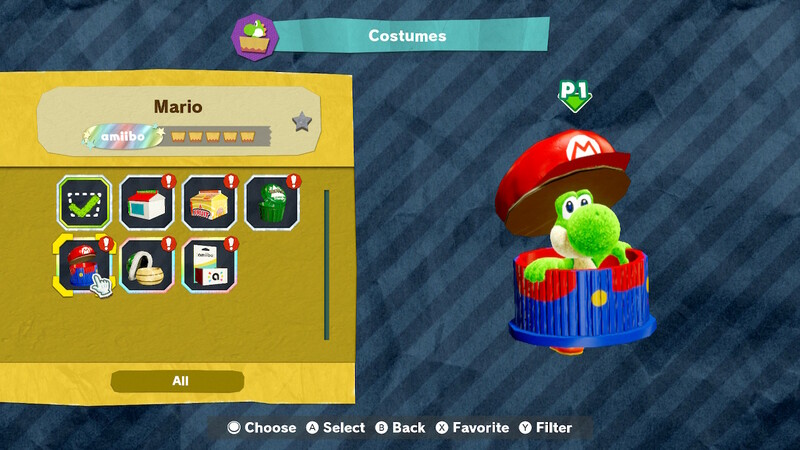 These ‘costumes’ can either be bought using collected coins or a few special ones can be unlocked using Amiibo. Unfortunately, barring a few exceptions, the costumes (at least in my opinion) all look pretty horrible. They are all either similar-looking cardboard boxes or bottle caps that Yoshi wears or rather awkwardly steps into and carries. None are very distinctive and although falling into three categories (common, rare and super rare) I not only felt no real inclination to collect them – even worse I never wanted to use them. The only small exception was the Amiibo ones (I unlocked the Mario one as well as the Koopa Troopa one) but even these weren’t that great. As far as I could tell they also offered no reason to use them (no added abilities) and really just made Yoshi look worse. Hence, for most of my playthrough, I preferred ‘au–naturale‘ Yoshi to weird boxcar-running Yoshi. If you craft it, will they come? 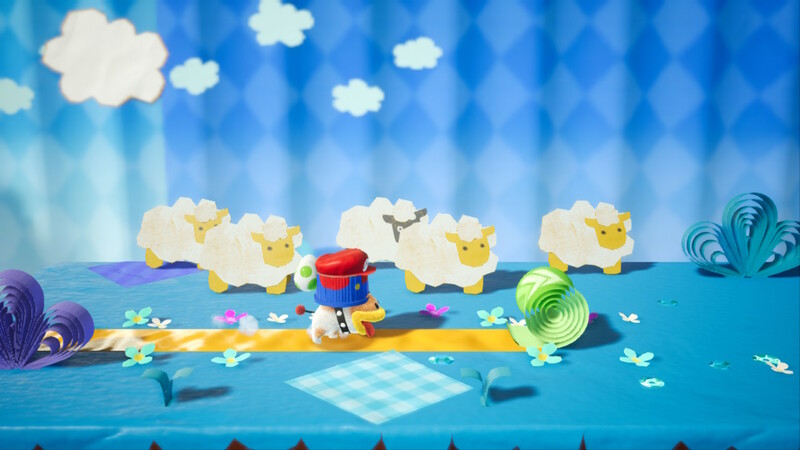 Yoshi’s Crafted World is obviously targetted at a younger audience. And I can imagine that any inexperienced players (young and old) that play the game will really enjoy it. It is a great entry point to the Switch (and maybe gaming in general) because it is bright, forgiving and fun. 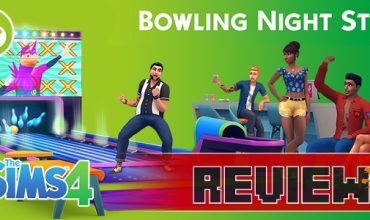 Somewhat sadly, the charming, child-friendly visuals and basic gameplay may actually turn some more experienced players off trying it. I completely understand that the game may lack that ‘cool/mature’ factor. But, by not giving it a go – I think you’ll really miss out. 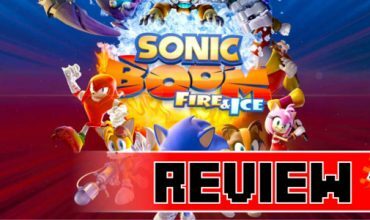 Everyone can enjoy the polished visuals, clever design and may even be surprised at the stress-free fun that there is to be had collecting and exploring the well designed 2D platforming worlds. My advice would therefore be: It’s Yoshiiii… jump on.